On this page you will find a list of addresses, useful information and phone numbers. Some telephone numbers may have been changed; we can not guarantee the accuracy of all the information provided, but we’ll provide to keep it regularly updated. 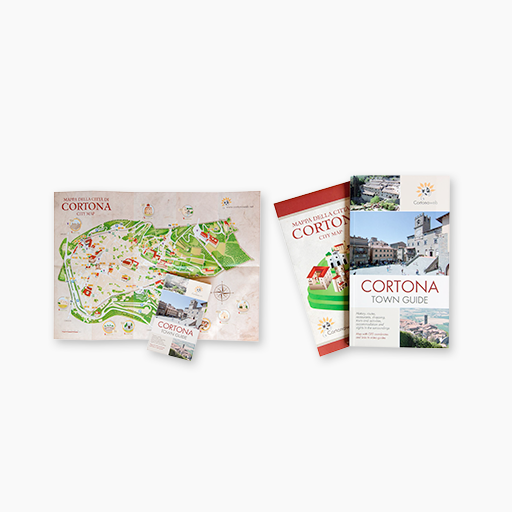 We invite all the users to report any incorrect details or additional data by writing us an e-mail to contact@cortonaweb.net. On Saturday the Mass is celebrated in the Church of San Filippo at 5pm (in the summer at 6pm) and in the Sanctuary of Santa Margherita at 6pm. The service is available from Monday to Friday from 8pm to 8am. At week-ends it is available from Saturday at 10am to Monday at 8am. The emergency medical service in Mercatale is only available on Sunday and during public holidays from 8am to 8pm. The local markets take place once a week on the main squares of the villages around Cortona from 7am to 1pm.